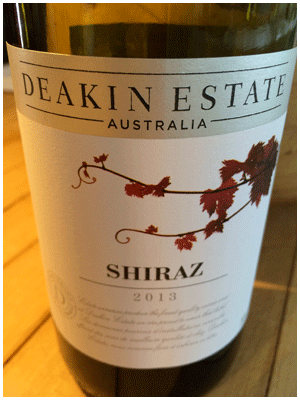 Deakin Shiraz has been in my top ten value reds for almost a decade. I don’t buy a lot of Aussie reds – not a fan of their sweetness/chocolate flavours. The Deakin guy is an exception with its Euro manners – tastes dry – as all table wines should. It also scores for wine flavours as opposed to all that obvious frilly, fruity nonsense. A tangy, appetizing edge completes the performance. Let’s not overlook the handy screw cap! And low price. A solid house red to partner most everyday foods or moods.